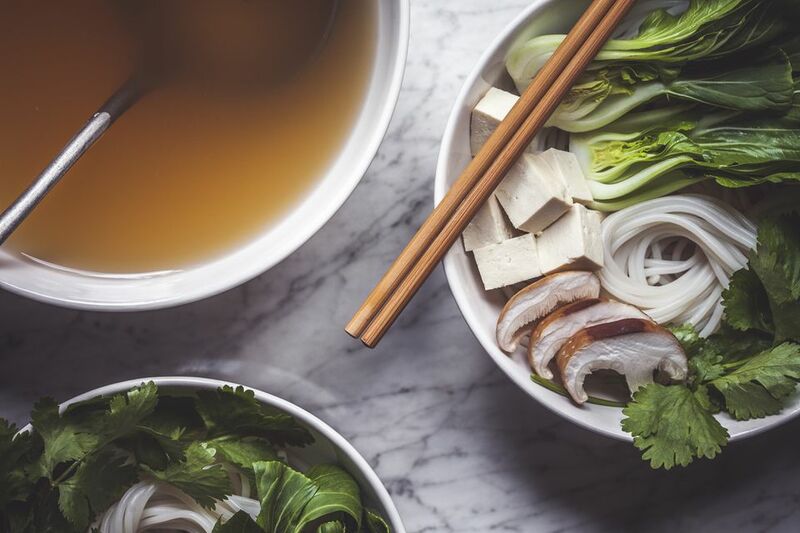 Broth is one of those staples that you always want to have on hand in your kitchen because it's used in everything from soups to casseroles, but oversights happen. You might not realize you're out — but not to worry. It's easy and inexpensive to make your own beef broth, chicken broth, or vegetable broth, although that's not much help if you have to get dinner on the table ASAP. For those moments, you can turn to these simple substitutes. You'll need just one ingredient on hand to pull this off — literally a substitute. Any other type of broth or bouillon will do, or you can substitute soy sauce or white wine. It all depends on the recipe you're making. If your recipe calls for chicken broth and all you have is beef broth, you'll be happy to know that this swap will not be the kiss of death for your finished dish. Go ahead and use the beef version — you might notice subtle changes in the color or flavor of the finished dish, but it'll still taste great and it will get dinner on the table on time. Of course, some broths are more interchangeable than others. Vegetable broth subs more seamlessly for chicken or beef broth than chicken does for beef or vice versa. If you don't have any kind of broth on hand, you can resort to bouillon cubes or granules to make a broth substitute. Just combine one cube or one teaspoon of granules with one cup of boiling water to create the equivalent of one cup of broth. You'll have a good stand-in when the bouillon dissolves. Just scale the recipe up to make as much as you need if you need more than a cup. Bouillon tends to be saltier than broth so you might want to omit or scale back on any salt called for in the recipe. And resist the temptation to just sprinkle the granules into the recipe — the water is the key, effectively turning the bouillon into broth. If you don't have the ingredients to make either of these substitutes, you still have a few options. These substitutes won't have the same flavor as the broth they're replacing, but they'll work in a pinch. Consider how they'll fit with your recipe before you give them a shot. They might be suitable for some recipes but not for others. It's important to remember what defines a broth when you're deciding which substitute will work best in your recipe. Broth is a rich, flavorful liquid made by simmering poultry, meat, or vegetables in water with seasonings. When you're using a substitute, remember that the seasonings are the key element. If you use the soy sauce substitute for beef broth, consider adding parsley, garlic, bay leaves, or other seasonings to create a more convincing replacement. Be sure to add just a little at a time as you experiment with seasonings, then do a quick taste test before you make any additional adjustments. Of course, if you go too far or find that your substitute just doesn't taste the way you want it to, you can always start over. Most of these ingredients are cheap so your wallet won't feel the pinch.